Prof. Sergiu Hart of The Hebrew University of Jerusalem will be awarded the Israel Prize for economic research and statistics, the Education Ministry announced on Thursday. Education Minister Naftali Bennett approved the recommendation of the prize committee headed by Prof. Yoav Benjamini. 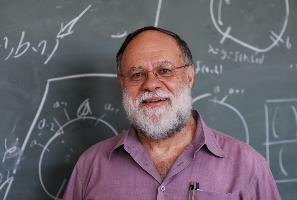 In its decision, the prize committee called Prof. Hart – a former president of the World Association of Game Theory and member of the Academy of Sciences of Israel, Europe and the United States – one of the world’s leading economists. Hart was born in Bucharest, Romania, and immigrated to Israel at the age of 14 along with his family. After serving in the IDF, he received undergraduate and graduate degrees from Tel Aviv University in mathematics with honors before completing his post-Doctoral studies at Stanford University in California. In 1991, Hart founded the Center for the Study of Rationality at The Hebrew University, whose academic committee he now chairs. The Israel Prize is largely regarded as the state’s highest honor. It is presented annually on Independence Day in a state ceremony in Jerusalem attended by the president, the prime minister, the Knesset speaker and the Supreme Court president.